Our daily schedule provides the rhythm and routine that we all need, balanced with the excitement of activities which campers choose themselves! While certain days are special (like our All Camp Days, community service days, camping overnights, and more), read on to see what a typical day at SMA looks like. 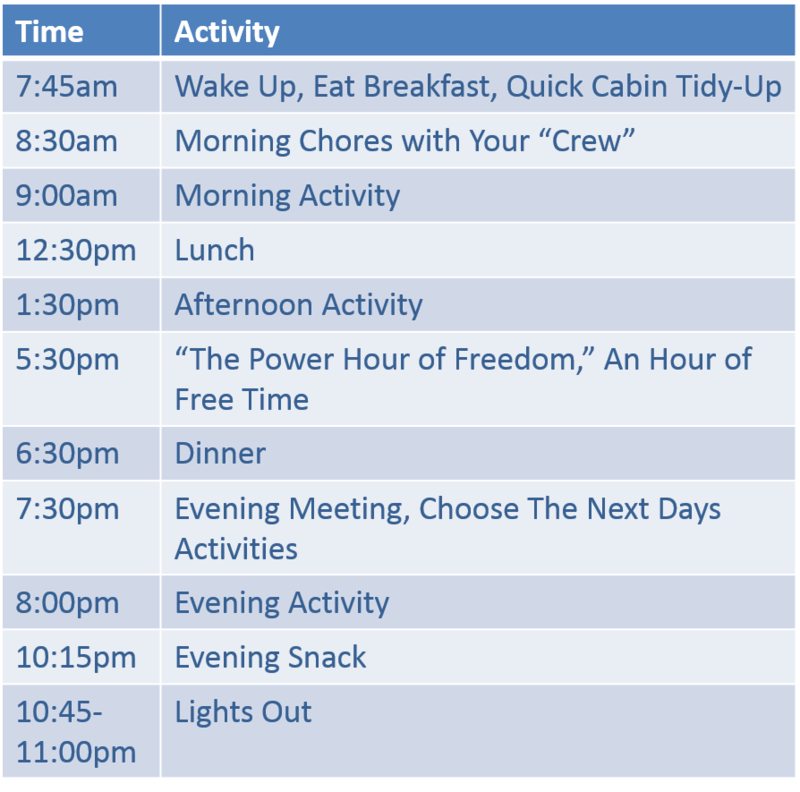 Over the summer, there are several activities which require the time of both the morning and afternoon activity slots. For instance, SMA will occasionally offer all-day wakeboarding, mountain biking, or horseback riding, usually giving preference to campers enrolled in the Masters program of a given activity, if applicable (find out more about our Masters programs here. Additionally, each session we go whitewater rafting, a trip which takes one long, glorious, fun-filled day! Rather than have typical Afternoon Activities, once a week as an afternoons activity we offer Service Projects. Campers will have the opportunity can choose from six different service projects. Click Here to Learn More about our Service Projects. 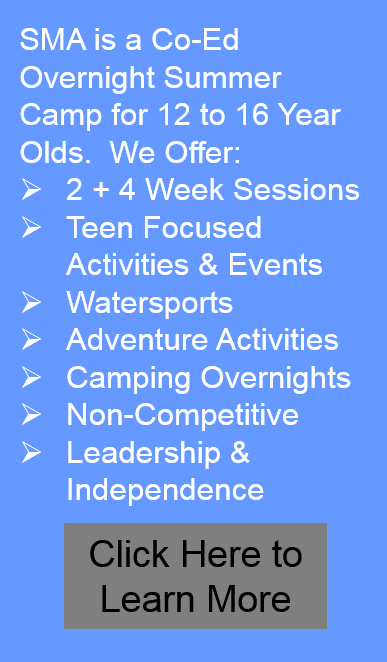 All Camp Days come once a week and are one of Stone Mountain Adventure’s most beloved traditions! Campers get to sleep in, and a special breakfast of donuts and bagels is served. We then do some serious cabin cleaning (as opposed to our daily morning tidies) that, of course, is absolutely not at all competitive whatsoever, and the cleanest cabin will win a special prize! After lunch we travel to one of the many lakeside activity spots that surround camp for a fun afternoon of sports, hiking, crafts, swimming, and relaxing. We finish out our All Camp Days with a delicious all-camp BBQ!